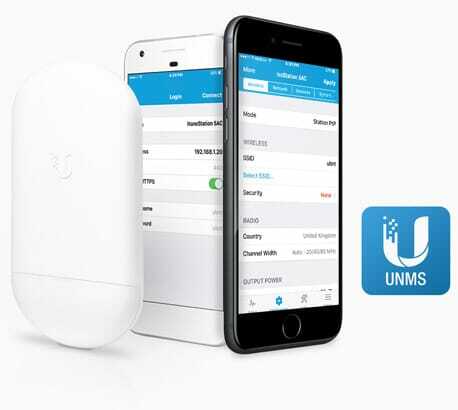 The Ubiquiti airMax NS-5ACL is a compact wireless bridging device that delivers fast and stable wireless connectivity at a low price. The stylish compact design of the NS-5ACL makes it easy to install and is ideal for customer facing installations while the improved 450Mbps throughput is suitable for high bandwidth requirements in short to medium range PtP applications. Why buy the Ubiquiti airMAX NS-5ACL NanoStation 5AC Loco Wireless Bridge from Connectec?